Thought the only thing you can do around here is chase pigeons and admire gargoyles? Think again. The Dunajec River is just a short ride away and with it a whole day of madness. 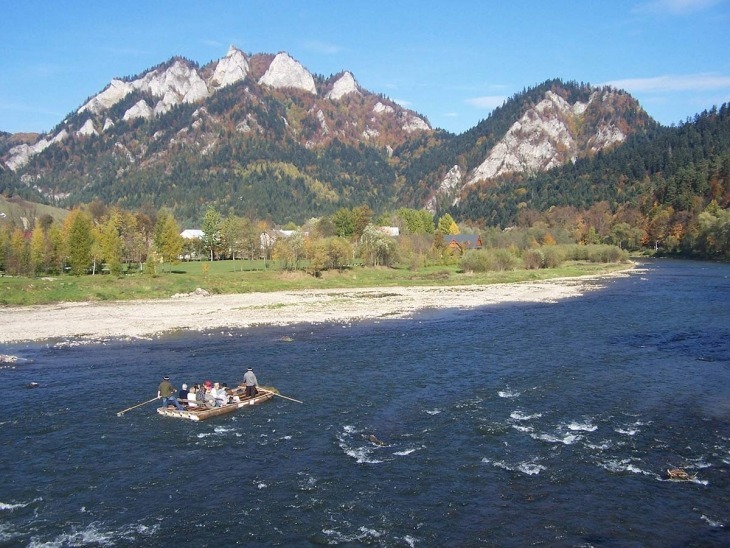 Experience all the Dunajec River has to offer. Gorge-rafting is in, baby! Let our experienced boatmen take you on their traditional wooden rafts. Come and enjoy a full day of summertime sweetness. As always, we’ll show you all the highlights along the way: including the stunning medieval Niedzica castle and the world-renowned wooden architectural styles of the region. Our tours are private and customized to meet all your wants and needs. We’ll pick you up and drop you off wherever you want! And if there’s anything along the way which demands your attention – just holler! Price includes transportation with English speaking driver/guide, 2h traditional wooden raft ride on the Dunajec river, stop in Niedzieca Castle (entrances included). Minimum 4 persons required for tour. Prices include all entrance fees and taxes. Price provided is for English language tours. Tours in other languages: price negotiable. Available April 1st – October 31st. Tour subject to weather conditions. Minimum 4 persons required for tour. We all agreed the ride was great. The lovely lady who collected us from our accomodation made the journey well worth while. The raft trip was great with the 'oarsmen' fun to be with even though they spoke little english. Well worth the money and would recommend this to anyone.